Late 2013 was a great period of time for long time KISS fans, as a lot of previously uncirculated stuff suddenly started to show up on the radar and hit the Internet. Amongst these things was this little gem, a soundboard recording from The Daisy in Amityville, NY on June 16, 1973. This show was released by both Zodiac Records and Godfather Records. Here are the front artwork for the Zodiac and the Godfather releases. The quality is pretty good for such an old recording. There is a bit of a fluctuation at the beginning, but it disappears for a while and returns in ”100.000 years”. Peter’s handling a lot of the talking between the songs which is weird. I’m really glad Paul took the lead of that. Firehouse is also quite different. There is a completely different guitar fill part by Ace before the chorus. The chorus varies a bit as well from the album version. Ace’s solo is not the same as the album version either. I must say I like the final version the best. Life in the Woods is a strange tune with a lot of harmonies. There are some really cool riffs in this song, but overall I don’t think the song fitted where KISS was going musically, but rather where they came from. Anyways, the song is a really cool listen. People from the audience participate on the chorus at the end of the song. That is quite funny, because some of them are really tone deaf. Simple Type is the fourth song of the set. It has a killer opening riff and I really like the groove of the song. It is more in the spirit of KISS than Life in the Woods. Paul’s really hitting it with his vocal performance, very raw and intimidating. The end is very The Who-ish, but still cool. Acrobat, we all know from the 2001 box set, so I am not going to comment on that one, except that on the box set it was altered a bit. Deuce is almost exactly as we know it, except the end of the song differs a bit from the album version. 100.000 Years is also pretty much the same as the album version. Black Diamond does not differ greatly from the album version either, although the end is a bit different that later live versions. Set 2 starts off with the classic Strutter. It is one of my all time favourite KISS songs. Classic! A bit of a volume issue during the song. The volume is quite loud, really. This version is similar to the demo version which is on the box set from 2001. During Watchin’ You the tape fluctuation continues. This version does not differ a lot from what we are used to. The last song of the set is the great Let me Know. What an awesome song. I love how Gene and Paul trade vocals. The sound is pretty rough on this one, fluctuation, hiss and volume problems. 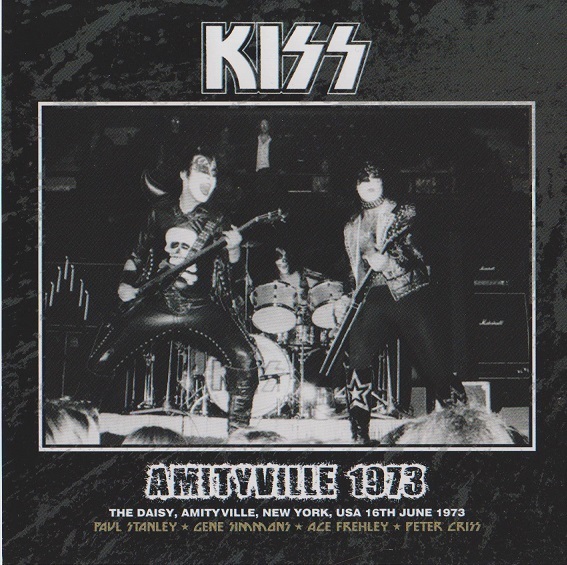 All in all this is a great recording, very interesting to listen to these old versions, and it is really a piece of KISStory, no doubt about it.